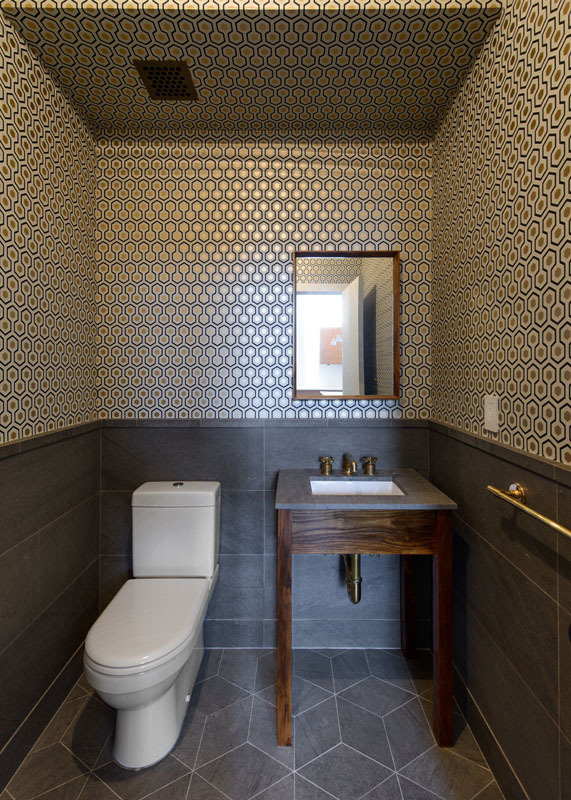 This clean, bright intervention includes custom designed kitchen cabinetry, bathroom fixtures and several specially designed tile patterns. Spaces were arranged to keep flow and lines of sight open. 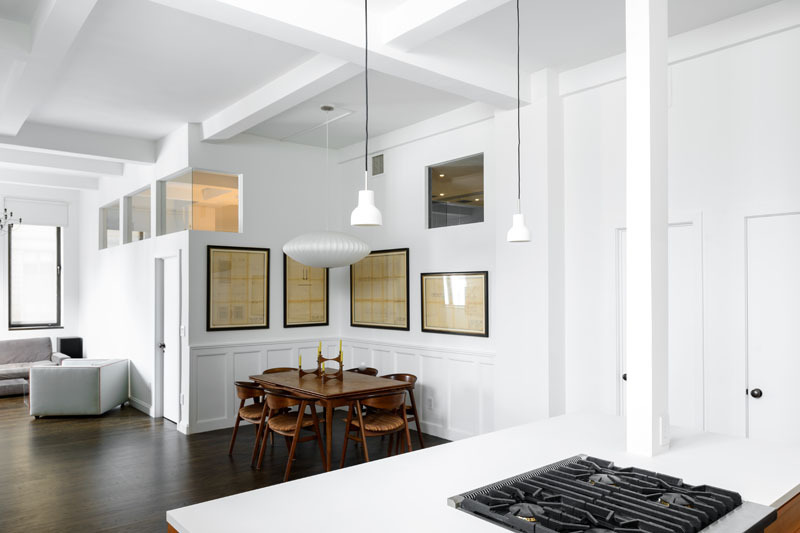 The kitchen is a clean, bright, and warm space that invites visitors into the apartment. Horizontal grain douglas fir cabinets are topped with white corian counters. The master bedroom and bathroom receive daylight through clerestory windows to the well lit living room and kitchen. 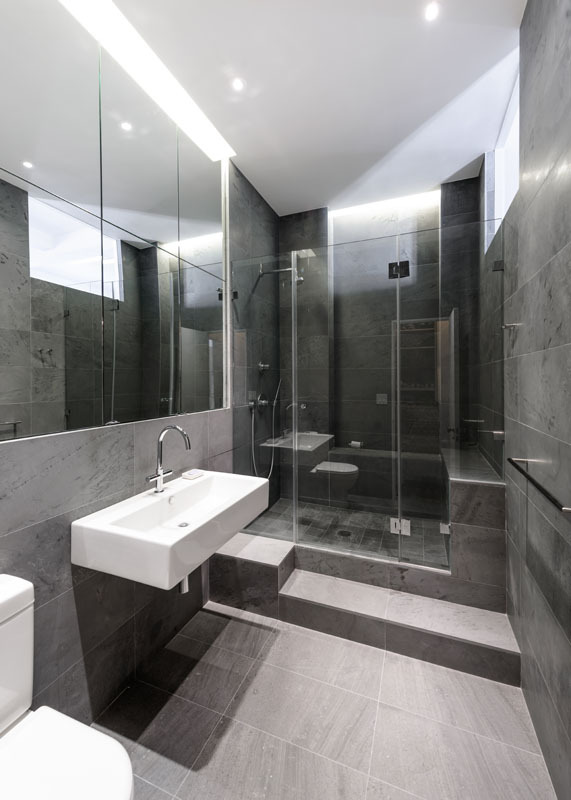 The master bath features an immersive shower which wraps the walls and cascades to the floor. 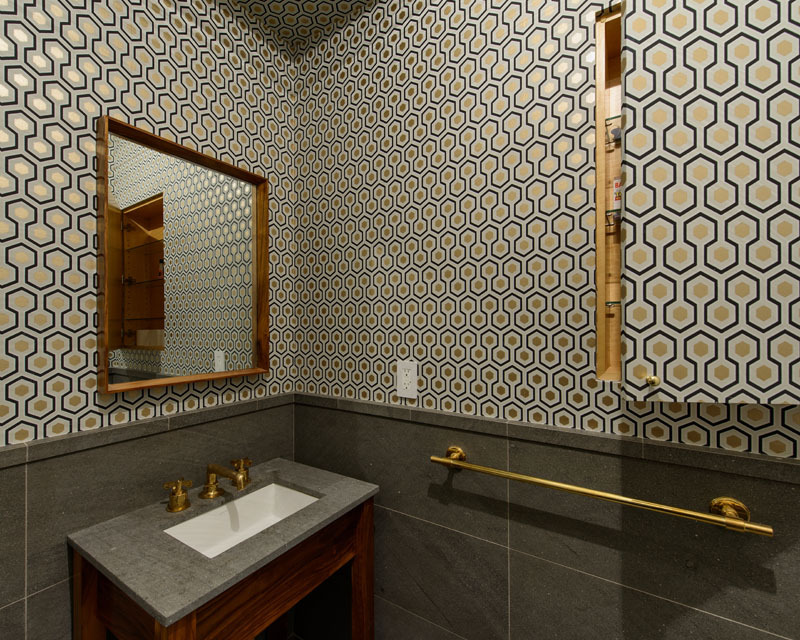 The powder room includes simple brass fixtures in contrast to a geometric wall paper and corresponding floor pattern. 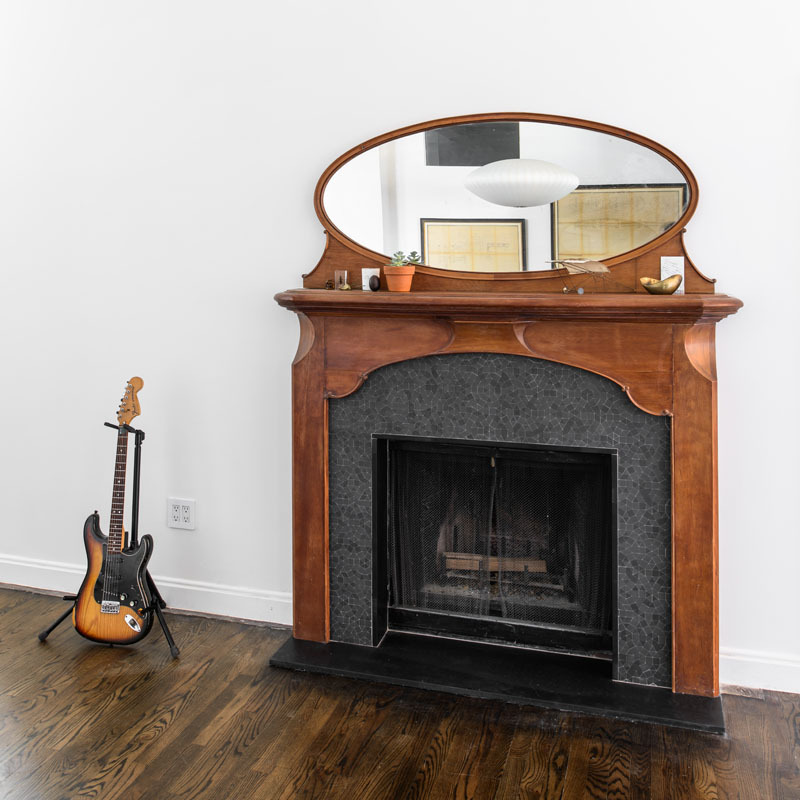 A salvaged mantle is the focus in the living room and features a pattern designed to add a subtle geometric texture. Photos by Alan Tansey.